The password field is automatically removed on form when the option “User Registration with Email Confirmation” is turned on in Dashboard > Forums > Settings > Features admin page. This kind of registration doesn’t require password. Password will be created on second step when new user clicks on Password Reset link sent via email. This process does two things. It confirms user password and creates password for current user. 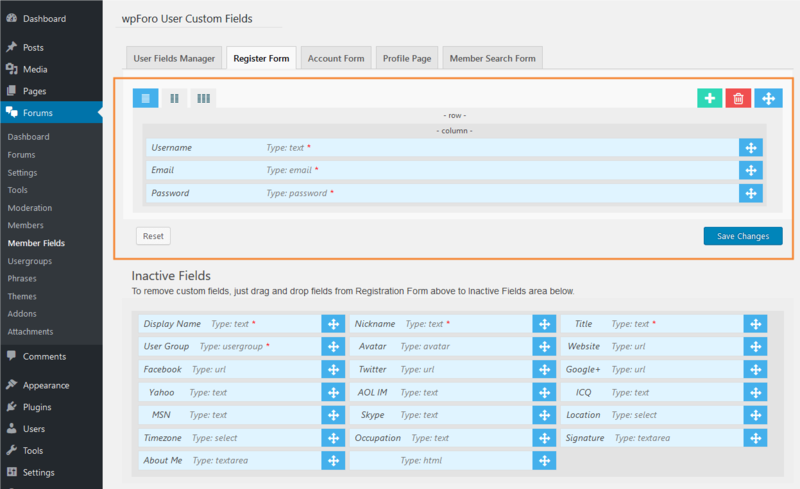 Custom Fields are already created in User Fields Manager tab and are listed in Inactive Fields area below Registration Form area. 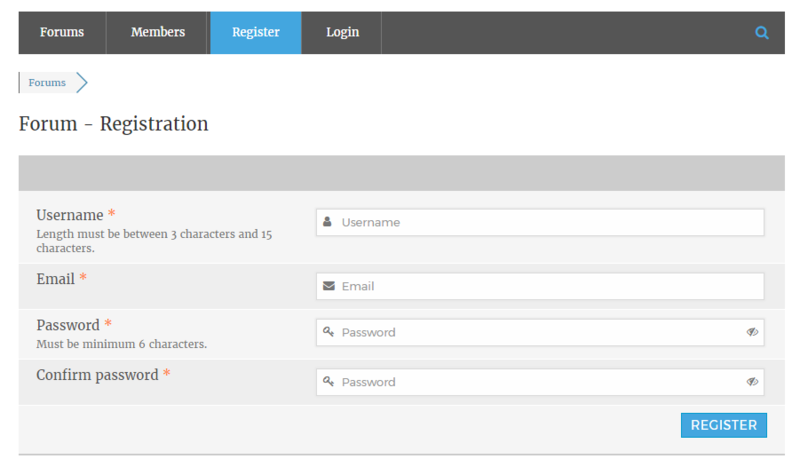 To add a new custom field in form, just drag and drop fields from Inactive Fields area to Registration Form area. If you want more fields, please navigate to User Fields Manager tab to create them. Using [|], [||], [|||] buttons on top left side of each row panel you can set one, two and three column form layout for each row individually. Using [+] green button on top right side of row panel you can add a new row in form.